Oh, hey. So, uh, Freebie Friday on a Sunday, huh? What’s up with that, right? Well, uh, I’ve got a few stories to explain that, so bear with me here. I was 15-years-old, a sophomore in high school, and me and my group of best gal pals decided that we wanted to go to our state’s local theme park, Lagoon. It’s approximately 40-minutes away, 80-minutes round-trip. I had it all planned out and my friends and I arrived at Lagoon just before it opened only to realize… um, yeah, it wasn’t going to open. It was closed that day. I had been looking at the wrong week. Cue facepalm. Let us return to my excuse for posting a Freebie Friday on Sunday. First off, on Friday, February 9, my beautiful niece was born! I knew I would be visiting her and my older sister in the hospital on Friday, so I prepared this post ahead of time. I had it scheduled to post that afternoon. At least, that’s what I thought. Come to find out, I had it scheduled to post next Friday–again, I was looking at the wrong week. Here I was, thinking I was all prepared and savvy, and it was Lagoon all over again. Thus, here we are. Freebie Friday on a Sunday. Hollah. If you search the internet, you’ll find that this topic is an actual heated debate. (When it comes to the internet, pretty much everything is, right?) 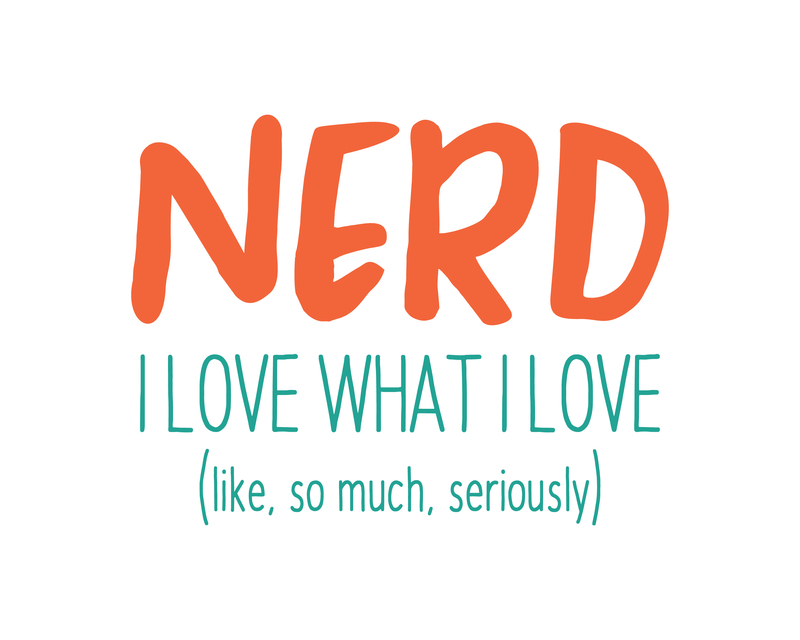 Some people vouch that there isn’t a clear difference, that geek and nerd are actually synonymous. The other side insists that, no, there is a distinct characteristic that separates what a nerd is and what a geek is, and that is skill. 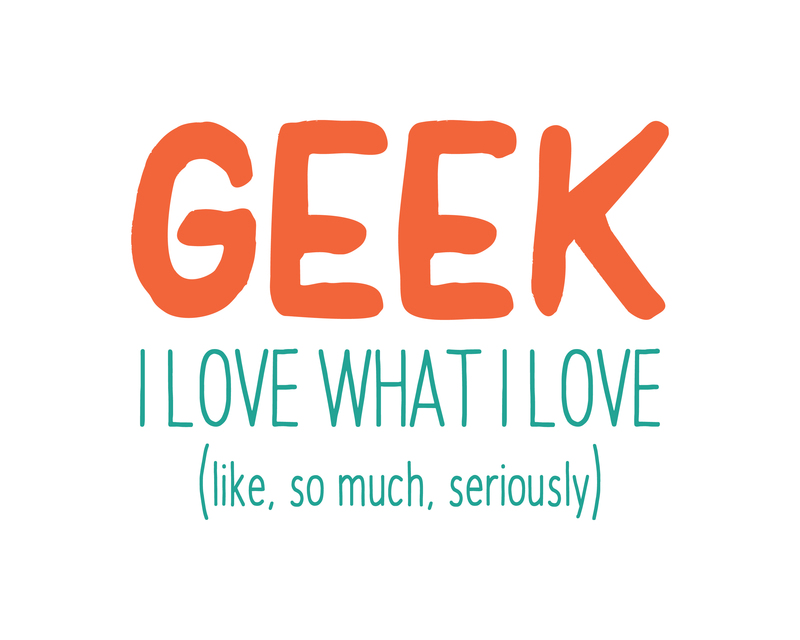 A geek is an enthusiast of a certain topic or field of interest, with a “collection” orientated mindset. They seek to gather facts and memorabilia related to what they love, obsessing over the trendiest things that love has to offer. A nerd, on the other hand, also has his obsession, but faces it with a studious mindset. They seek to acquire new skills and knowledge within their field of interest rather than dwelling on collections or trivia. 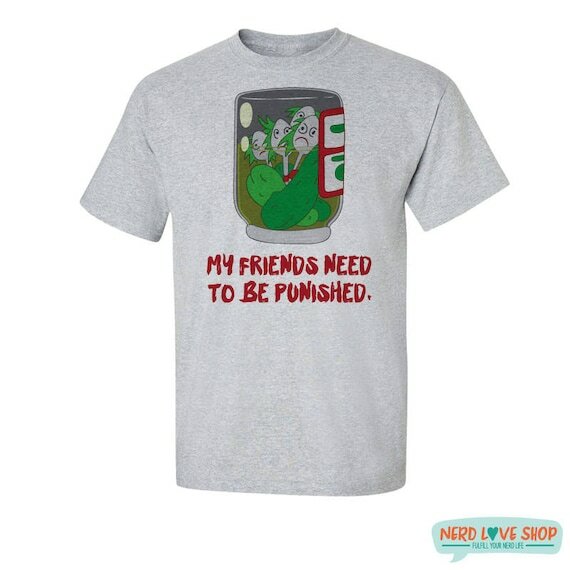 Basically, a geek is all about their “hip” interests, which includes dropping pop culture references. A nerd, on the other hand, references things that are so obscure you most often have no idea what they’re talking about. Geeks like stuff, nerds like ideas. At least, that’s what the internet says. I suppose I agree with this definition attempt in certain places, but the idea that a geek is a trend-following hoarder and a nerd is a guy in suspenders in glasses with no friends–that’s extremely restrictive. I mean, just look at the graph above taken from blogger Burr Settles. The Hobbit and Star Trek are considered nerdy things, but Spider-Man and Star Wars are for geeks? What even is the distinction there? For me, I say that geeks, nerds, whatever, it just means that you’re passionate enough about something to make it apart of who you are. To figure out how to build a website in order to build a website worthy of your fandom, whether that’s geeky or nerdy, who cares? It’s dedicating yourself to something you love! So, whatever you wanna call yourself, today’s print all about embracing that, hey, we love what we love. So, which camp are you in, if you had to choose?